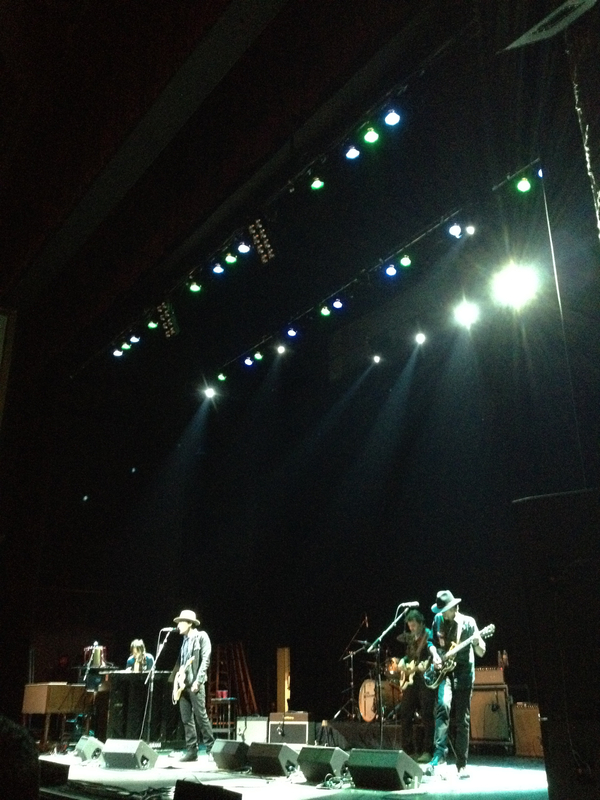 The Wallflowers delivered a set of quality songwriting and rock and roll at the Midland November 15th. Around 1,000 people showed up to see the recently reunited band. The Jakob Dylan led band’s music has aged extremely well. Much of the setlist focused on their latest album, the excellent “Glad All Over.” It is the band’s first album in 7 years and they seemed to really enjoy playing the new material. New track, “The Devil’s Waltz” opened the 90-minute show. “Three Marlenas” served as an early highlight of the set. “Reboot the Mission” had a rocking feel. The new material fit in well with the older songs. The tight, well-crafted songwriting of Dylan served as the focus of the night. The laid-back vibe of the show worked well with the older crowd. The crowd went insane to the classic “One Headlight.” “The Difference” also hit the crowd hard. “6th Avenue Heartache” featured an accordion solo from multi-instrunmentalist Rami Jaffe. Dylan’s voice was in strong form all night. The sound was as pristine as I ever have heard at a show. Austin-based My Jerusalem kicked off the show with a set of horn-heavy indie rock. The sprawl of their songs complimented the sound of the Wallflowers perfectly. The Wallflowers showcased their passionate playing and Dylan’s songwriting skills. It was one of the unexpected and best live shows I’ve seen all year. (What’s So Funny ’Bout) Peace, Love and Understanding.